Have a question for JONG LUX PAK DEE? 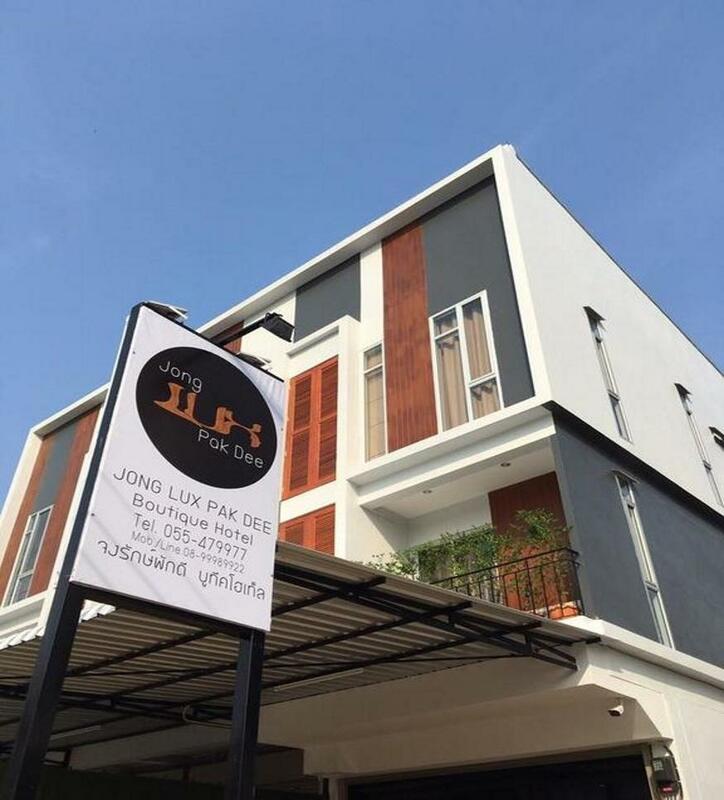 Whether you're a tourist or traveling on business, JONG LUX PAK DEE is a great choice for accommodation when visiting Uttaradit. From here, guests can enjoy easy access to all that the lively city has to offer. With its convenient location, the hotel offers easy access to the city's must-see destinations. Offering hotel guests superior services and a broad range of amenities, JONG LUX PAK DEE is committed to ensuring that your stay is as comfortable as possible. Top features of the hotel include free Wi-Fi in all rooms, 24-hour security, daily housekeeping, private check in/check out, Wi-Fi in public areas. Hotel accommodations have been carefully appointed to the highest degree of comfort and convenience. In some of the rooms, guests can find television LCD/plasma screen, cleaning products, clothes rack, complimentary instant coffee, complimentary tea. Besides, the hotel's host of recreational offerings ensures you have plenty to do during your stay. Enjoy unparalleled services and a truly prestigious address at the JONG LUX PAK DEE. Very, very clean room. Comfortable place. Great, fresh breakfast. Wonderful in every way. I seldom post comments, but the owner deserves it.